An educational Spyro game that got scrapped! ToonFX Wrote: One of the projects I was involved with at Knowledge Adventure was a pitch session on the possibility of leveraging another established property that was owned by the Vivendi Universal conglomerate over to the children's educational market that we worked in. The property was Spyro the Dragon and the plan was to place this character within a fairytale environment for a series of adventures. 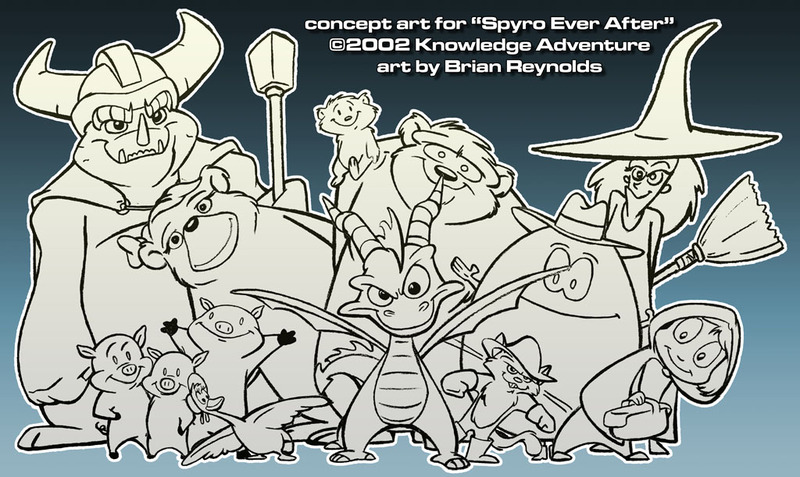 Nothing came of the project but it gave me the chance to draw Spyro and come up with a number of interesting character designs.